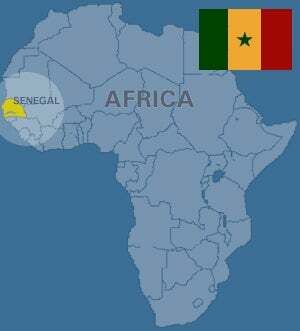 I've finally gotten settled into my abode in Senegal, so I'd like to share a few thoughts. It's half past ten right now, and this is my second day here. It's not Paris, but some aspects of the culture is very Parisian. For instance, people really take their time. Just like in Paris, this is unsettling to my American sensibilities. I feel I need to be doing something at all times! Hopefully, I'll get over that feeling. Next week is Tabaski! There are all these sheep around who will probably be gone by the end of next week. It's really unfortunate for the sheep, but it's a very important holiday not to be missed. Yes, Virginia, there are well-off Africans. My host family has a nice house and two maids with the ability to have bottled water and electricity. In the states, their lifestyle would be considered rich. My room is bigger than the hotel room in Paris, which is nice. The school I'm going to is nice, but I haven't been there long enough to have an opinion. And that's all I can process right now! I really think, finally, that it's going to be just fine. Wish me luck!